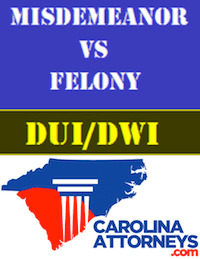 Most North Carolinians already know that DWI cases pose a high level of difficulty, by virtue of tough North Carolina DWI laws. Many will enter their zip code and query “DWI lawyers near me,” in an attempt to locate nearby law offices in Charlotte NC. The location of your choice for a criminal defense lawyer should be one of the least important criteria, and definitely behind experience level, legal industry awards and criminal law practice accolades. The crime of driving drunk (driving while intoxicated or driving while impaired – DWI) is a frequently-accused criminal offense, for which experienced and knowledgeable criminal defense lawyers in NC are sought. Some people narrow their search to a Charlotte DWI lawyer who has taken additional training and even instructed other lawyers, law enforcement officers and legal professionals on the internal functions and limitations of the breathalyzer used for a DWI case in North Carolina [Intoximeter EC-IR II]. Plus, an NC DWI attorney should be taking advance-level courses on fighting the non-scientific field sobriety tests published by the National Highway Traffic Safety Administration (NHTSA). 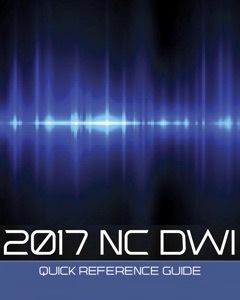 Most DWI arrests in NC involve these common denominators for a driving under the influence case, and this training is essential to a comprehensive DUI defense. Our Charlotte North Carolina criminal law office features attorneys, all of whom are experienced on misdemeanor or felony criminal defense cases relating a DWI arrest in Mecklenburg County District Courts, and (when bound over) in the Superior Courts. Serious traffic violations like driving under the influence, hit and run, and reckless driving call for a DUI attorney Charlotte NC, in Mecklenburg County. When you hire a NC DUI lawyer, you create an attorney-client relationship, which means that your statements to that criminal defense attorney are confidential. When our law office clients tell our DWI attorneys their FULL story, this enables our drunk driving attorneys to defend you against very serious criminal charges in North Carolina. For example, in some accident cases, our client or a family member may have suffered some personal injury, and the accident was not our client’s fault (e.g., the client’s vehicle was rear-ended at a red light, and then a police officer smelled alcohol and arrested our client). In these situations, that personal injury case may be an important issue that needs to be resolved by a civil litigation lawyer. Most North Carolina lawyers do not focus their law practices on criminal defense, traffic violations, and NC DWI defense. No more than you would hire a dentist or podiatrist to perform surgery should you think that every lawyer in this state practices NC criminal defense. If you are thinking of challenging and possibly winning a DWI in North Carolina case, you need to put an aggressive legal advocate with criminal practice skills at your defense table, from the moment you’ve been arrested and accused of drunken driving. The job of the DUI defense lawyers at our law office is to guide the path and direction of your criminal defense – from the beginning of the court process – all the way through the criminal justice system. 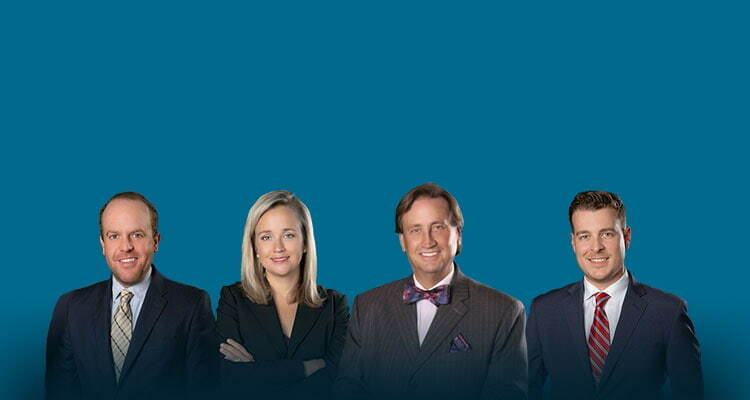 Our North Carolina attorneys provide attorney consultations during normal business hours, but we also go beyond that. Our “after-hours” service provides an “on-call” attorney for emergency situations that may arise, so that you are comfortable knowing that a Powers Law Firm lawyer is just a simple phone call away. At Powers Law Firm PA, our law firm operates from a strong belief that information and preparation help create a powerful legal defense for our clients facing criminal charges. Our criminal attorneys want to know all aspects of your pending case, in order to not miss any opportunities on taking advantage of how the North Carolina criminal justice system works in our Mecklenburg County courts. What is a DWI misdemeanor or felony? How much are DUI attorney legal fees? How long do criminal court cases take to resolve? If convicted, how much does a DUI cost over ten years? Is a Payment Plan available, for the cost of a DUI-DWI? 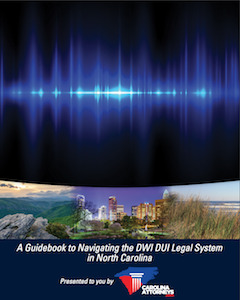 What are the steps to the legal process for a North Carolina DWI? Our law firm’s #1 goal is to provide you the information and resources you need to understand your criminal charges, and what to expect in your North Carolina criminal court case. Every person’s situation is unique, so we strongly encourage you to contact one of our Carolina attorneys for a FREE, no-obligation initial person-to-person consultation. Our Charlotte criminal lawyers will be happy to explain the laws to you as they pertain to your case and specific circumstances. Since most criminal law charges are time-sensitive, you should not delay in seeking legal counsel. You can contact us today at 704-342-HELP (4357).